from 10:00 am to 12 noon. Around 150 students and representatives of NGOs participated in the event. RISE FOR REVOLUTION, to change the paradigm, demand accountability, justice and systematic change. In 2016, there was a call to focus on marginalised women and to bring national and international focus to their issues; to bring in new artistic energy; to amplify Revolution as a call for system change to end violence against women and girls; to call on people to rise for others, and not just for themselves. 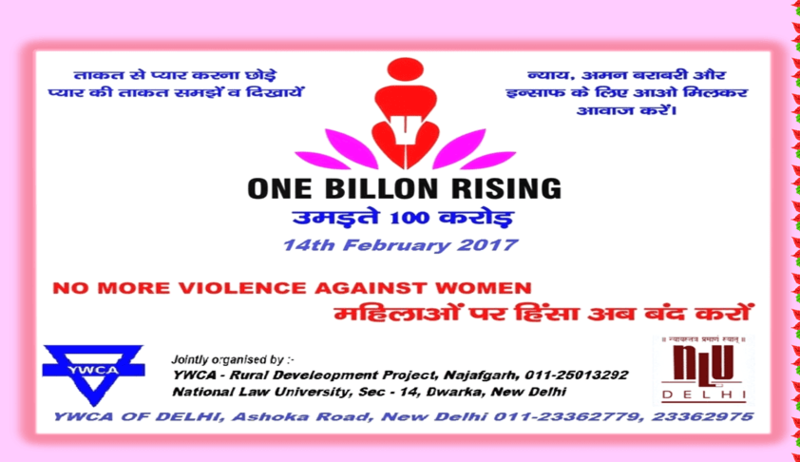 Ms. Jyotsna Batra, Chairperson, RDP – YWCA of Delhi. The resource persons & organisers include, Prof. (Dr.) Harpreet Kaur, Professor, Prof. (Dr.) Anupama Goel, Professor ,Prof. (Dr.) Anju Tyagi, Professor and Dr. Vinod Kumar, Associate Professor.